Complimentary membership in the Hasbrouck Heights Chamber of Commerce for 2019. CLICK HERE NOW TO APPLY ONLINE! The Hasbrouck Heights Chamber of Commerce provides support to local business to improve the quality of life in the community. Meetings are on the first Wednesday of every month in the Hasbrouck Heights Public Library from 8-9am. 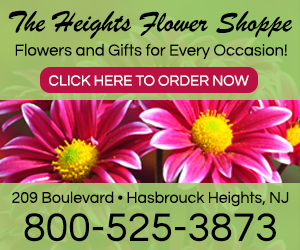 Membership is open to any local business in Hasbrouck Heights, Wood-Ridge or Lodi. For more details or to join, click here to download the application.